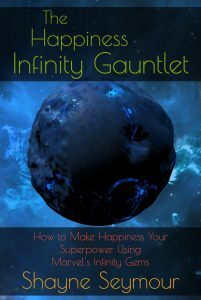 Welcome, readers of the Happiness Infinity Gauntlet! I want to thank you for reading the book. I hope you enjoyed it. To make sure you don’t miss anything, download the Independently Happy Prescription for Well-Being. Also grab the 5 Mindfulness Triggers printable. Or the 3 Resolutions That Will Ensure Your Happiness printable. 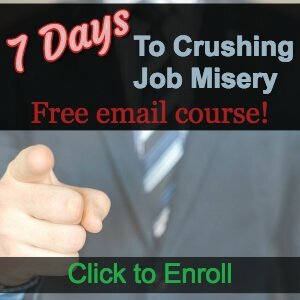 If the day job is getting you down, try out my 7 Days to Crushing Job Misery email course. Get one or all four. That will give you the chance to sign up for my list. I don’t like spam and can barely keep with with email myself. 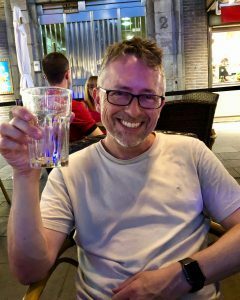 Other than the 7-Day email course, I only send one or two emails per month. Otherwise, rust scroll down the sidebar there on the right. Please click on anything that looks interesting. Again, thank you for purchasing, reading and for stopping by!